Supplied with 1 meter waxed cord 1 mm. Orgone means life energy (Chi, Prana or Ether). It is a mixture of crystals, resin and metal. It specially contains Herkimer crystal that helps purifying electromagnetic radiation. It cleanses and balances energy and harmonises the Chi in and around us. Additionally, orgone transforms negative energies into positive energy and is effective against negative earth rays, spin inversion and electro-smog. The orgone pendant is specially made to balance your energy field (aura). 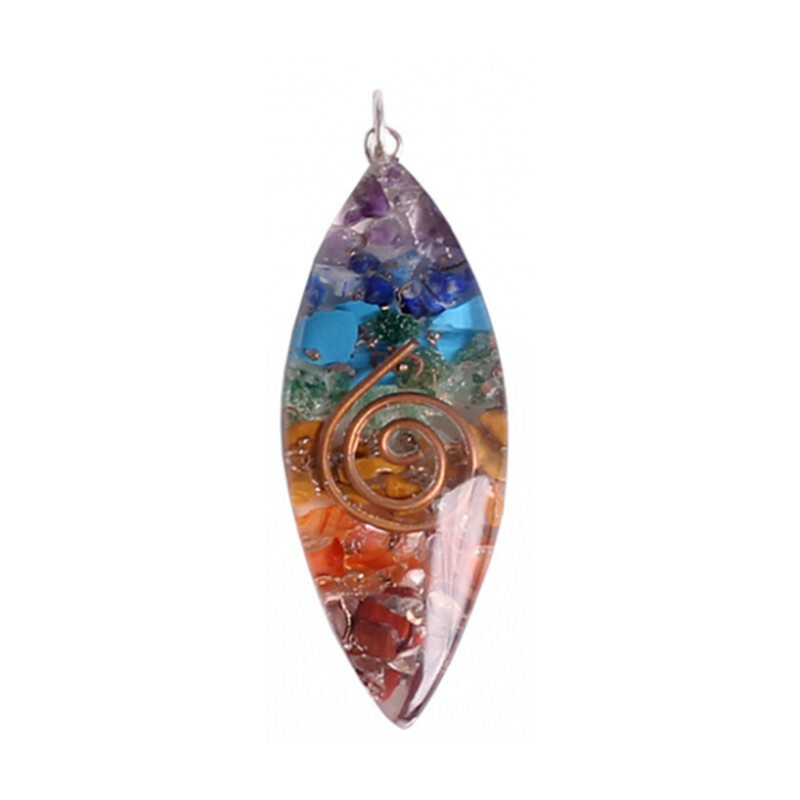 By wearing the orgone pendant you can become calmer, experience less stress and keep energies of other people away. The pendant can be worn in your pocket or under the pillow, as long as it keeps in touch with your aura. In order to activate the orgone pendant hold it at least for 20 seconds in your hands. Słyszałem o niezwykłych właściwościach orgonitów i postanowiłem zakupić taki który mógłbym nosić codziennie przy sobie. Owalny wisiorek harmonizujący 7 głównych centrów energetycznych to strzał w dziesiątkę. Dziękuję!